A host of promising novices chasing this Grade 1 prize, led by a very strong entry from the Willie Mullins stable. The pick of his entries here could be Salsaretta, a winner at Limerick on Boxing Day. She needed plenty of persuasion to reel in Felix Desjy but Ruby Walsh had given the leader plenty of rope. He came out and won the Grade 2 Moscow Flyer at Punchestown so the form looks solid. Relegate produced an incredible run under Katie Walsh to win the Cheltenham Champion Bumper last March. 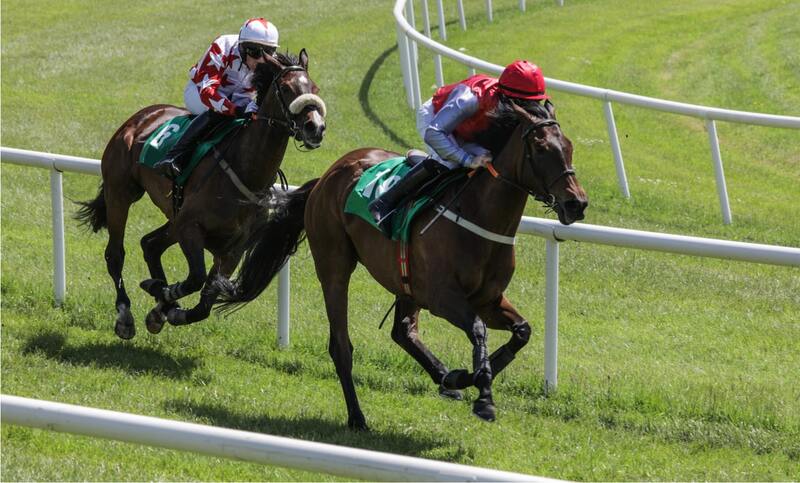 She was unable to reproduce that effort at Punchestown next time but got off the mark over hurdles at Naas recently. Come To Me is better than he showed last time when reported to be coughing after the race. He finished a long way behind stable companion Getareason in the race won by Battleoverdoyen. The biggest threat to the Mullins’ team could be Dunvegan, a clear-cut winner at Fairyhouse in December. He was always holding School Boy Hours before that horse crashed out at the last. The grey travelled strongly in front and looks capable of further improvement. Apple’s Jade is a short-priced favourite, despite dropping back a mile in distance. The seven-year-old galloped her rivals into the ground here last time, aided by the fall of market rival Faugheen. She had previously dished out a 20 lengths beating to Supasundae at Fairyhouse, although that horse was having his first start of the season. Supasundae ran a lot better here last time behind Sharjah in the Grade 1 Ryanair Hurdle. That was a muddling sort of race in which Champion Hurdle runner-up Melon finished fourth. There are reasons for both Supasundae and Melon to improve on Saturday with that race under their belts. Elliott saddles three of the six runners so presumably it will be left to Tombstone to ensure a fast gallop. Wonder Laish bids to follow up his impressive victory in a Grade A handicap hurdle at Fairyhouse in December. He was a useful performer on the level when trained by William Haggas and is finally starting to fulfil his potential over hurdles. He was patiently ridden by Davy Russell at Fairyhouse before sweeping through to lead at the last. He had to be ridden right out to hold the fast finishing Tudor City with Hearts Are Trumps a close fourth. The handicapper has put him up 8lbs for that success. That certainly gives Tudor City every chance at the weights, although he has since finished only fifth off the same handicap mark. That was behind Jetez who ran well in the Moscow Flyer Novice Hurdle behind Felix Desjy next time and makes a quick reappearance. Jessica Harrington’s gelding is 8lbs higher in the weights but won that race with some authority. Hearts Are Trumps is very consistent and has a 6lbs pull in the weights with Wonder Laish. Mullins is a master at targeting these big handicaps and Uradel catches the eye off 10st 8lbs. He has not raced over hurdles since being brought down at Galway in August. However, he was beaten only a neck by Low Sun in the Cesarewitch at Newmarket in October and is sure to be ready for this valuable prize. All eyes will be on Cheltenham Festival hope Envoi Allen, trained by Gordon Elliott. He races in the famous colours of Cheveley Park Stud, more readily associated with top class flat races. Envoi Allen has won both of his races comfortably and the son of Muhtathir is expected to take a further step towards the Champion Bumper here. Willie Mullins is always a threat in bumper races and he relies on Mt Leinster, a five-year-old son of Beat Hollow. He won on his debut by a wide margin but has been beaten here and at Punchestown this winter. Joseph O’Brien’s Midnight Run looks held by the favourite on Navan form while Neptune shapes as though he already needs two and a half miles. Min was runner-up at Cheltenham and Aintree last season and seems equally effective over two and two and a half miles. The son of Walk In The Park was always travelling comfortably behind the leaders before quickening to win the Grade 1 John Durkan Memorial at Punchestown. Shattered Love reduced the gap to a length and a half at the finish but the result was never in doubt. Simply Ned has been a grand servant to Nicky Richards and caused a big upset when reeling in Footpad last time. That horse was a late scratching here so Richards will be looking to turnover another Mullins hotpot. Saint Calvados was outclassed by Altior at Sandown in the Tingle Creek while the admirable Special Tiara has lost a bit of his dash at the age of twelve. Le Richebourg is likely to start favourite here for Joseph O’Brien. The Network gelding beat Us And Them by four and a half lengths in the Racing Post Novice Chase with favourite Mengli Khan back in fourth. Gary Moore sends Knocknanuss across the Irish Sea, runner-up to the impressive Master Dino at Plumpton in January. He had led his rivals a merry dance in his previous two races at Fakenham and Newbury. Duca De Thaix has won two competitive handicaps at Fairyhouse and takes a step up in class. He travelled easily before holding the late charge of Cubomania last time and could be suited by the likely fast pace set by Knocknanuss. Favourite backers will be looking to Ruby Walsh to send them home happy here aboard the well-fancied Kildorrery. He finished an eye-catching fourth in the Dan Moore Memorial Handicap at Fairyhouse after coming from a hopeless position on the home turn. Dermot Weld’s Lake Takapuna made a very pleasing debut for the yard in a handicap hurdle here at the end of the year. He moved into a threatening position on the home turn but could not catch The Church Gate. Weld fitted him with a visor for the first time there and now puts him back over fences. Tisamystery and Moon Over Germany are others with recent form in a wide open handicap. Want more selections? Then check out our most popular betting tips or subscribe to one of our racing tipsters.